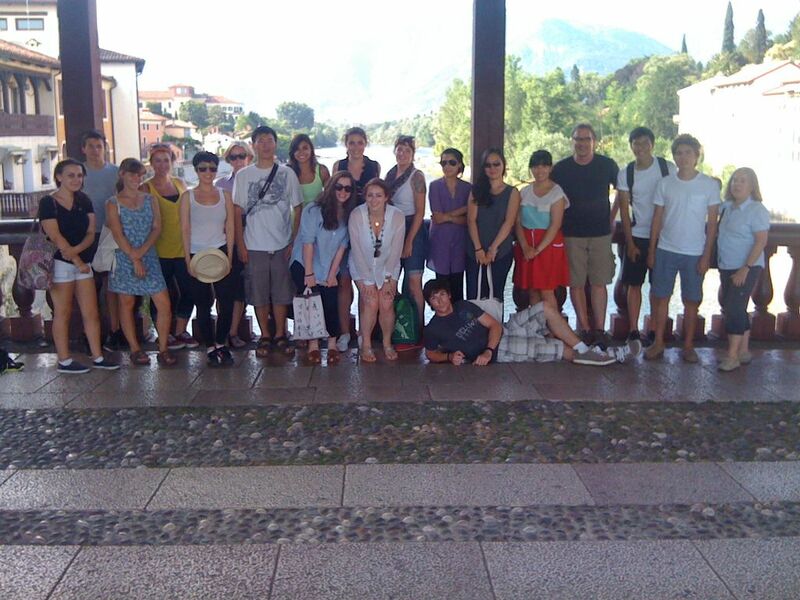 Pratt in Venice 2012 was a highly productive year with lots of student collaboration and many memorable occasions. Nineteen participants included upperclassmen and graduate students from Art History, Fine Arts, Interior Design, and Architecture. A student from the University of Delaware and two students from Munsen-Proctor (one on her way to Pratt, the other moving on to Maryland) joined the group. Alumnus Joe Kopta joined as chief assistant and Venice alumnus Andrew Kurczak continued as communicator extraordinaire. Students Kelly Davis, Regina Dubin, Collin Hewitt and Hannah West served as course assistants. Dorothy Shepard, with Joe and colleagues Jennifer and Chris, led the trip to Torcello and the visit to San Marco. All faculty contributed in group visits to the Accademia and the Doges Palace led by Diana. Visiting lecturer Tracy Cooper shared her expertise on Palladio at San Giorgio Maggiore and the Redentore. Materials and Techniques visits to the San Marco mosaic lab, the Orsoni factory, and wood conservation studio with Stefania Sartori were followed by a very special opportunity to mount the scaffold at the church of San Sebastiano in Venice to study, with the help of the conservators Lucia Tito and Egido Arlango , the great range of painting techniques employed by Veronese and his assistants. A special event in the art history class was the lecture by alumna Gaia Halpern in the exhibition of early maps at the Marciana Library. The lecture to the whole group by expert Paolo Spezzani on paintings in Venice and Padua studied under X-ray, infrared and ultraviolet shed light on the group trip to Padua and prepared students to understand examples to be seen on the trip to Castelfranco, Maser and Bassano. In Padua, Antonio Stevan, conservation architect, again generously hosted our early morning extended visit to the Scrovegni Chapel with Giotto’s frescoes. At Bassano all enjoyed a delicious meal al fresco prepared by Luisa and Gigi with all fresh local ingredients before seeking perches from which to sketch, paint or etch the countryside. Jennifer Melby’s printmaking students working long hours at the Scuola Internazionale di Grafica and Chris Wright’s painters working at the Universita Internazionale dell’Arte and on site produced a wonderful range of work, admired by all participants in the final critique before our “Last Supper” held at Gianni’s on the Zattere after the weekend celebration of the Festa del Redentore accompanied by ceremonies, church bells, boat races and fabulous fireworks. 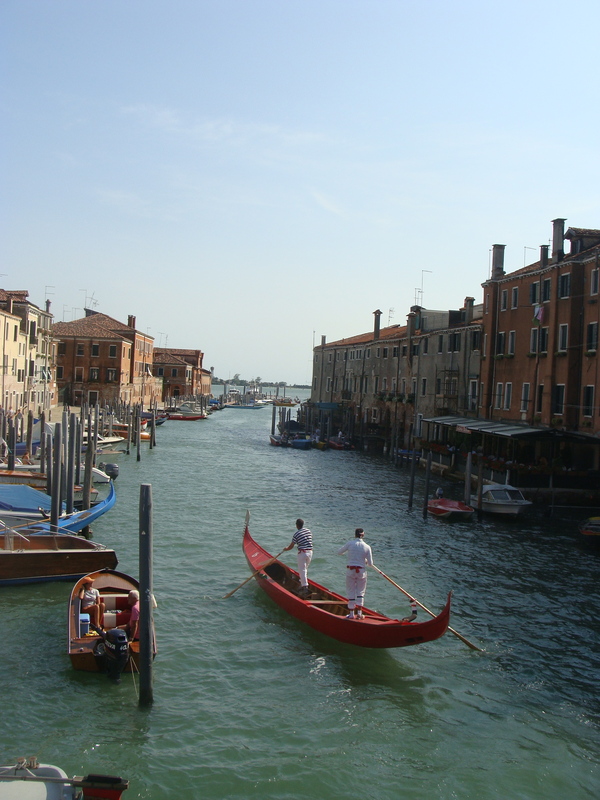 Before the Pratt in Venice program, I had been to parts of Italy to study art, but this was my first visit to the Veneto and Venice. Immediately upon arriving on the first day, stepping out of the train station and crossing Piazza le Roma to board my first vaporetto, I knew this experience would be unlike any other. Venice is a place that boggles the mind. As I sat on the waterbus, traveling around the western edge of the city and through the Guidecca canal, dazed and overloaded by sensory experience, all I could think was, “Is this real?” After completing the program and having the unrivaled experience of six weeks in those fairytale surroundings, I was no longer asking if it was real, but instead had decided nothing else was real but canals and the sunlight dancing on water. It’s not just the incredible beauty of Venice that seduces us, but its history, art and architecture that makes this experience not to be missed. 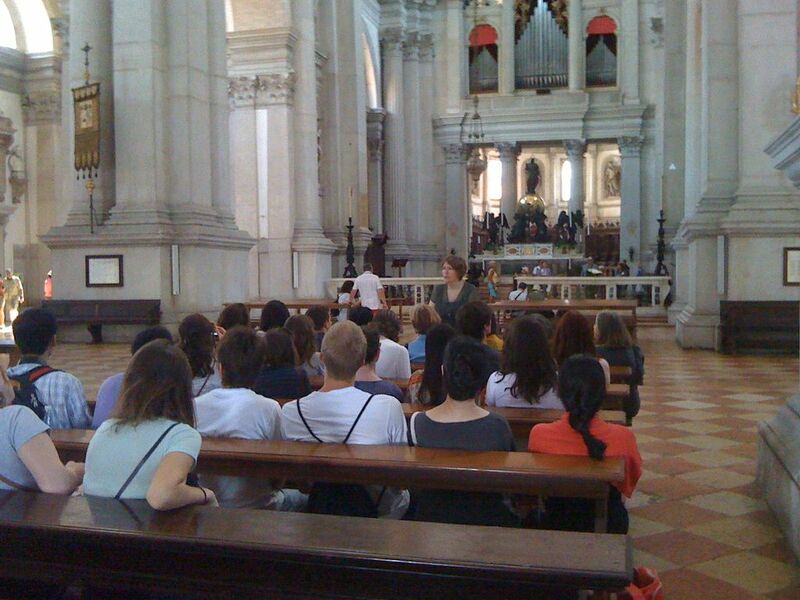 The onsite visits to locations within the city (some famous, like Piazza San Marco, some lesser known, like the Tiepolos of the Scuolo dei Carmini), allowed us all to experience living art history in a way that can only be achieved by standing in front of an altarpiece, in situ, and examining its location within the larger architecture of the church, or viewing Veronese’s stunning ceiling paintings in San Sebastiano and discussing conservation efforts. Visits to locations within the Veneto gave us unprecedented access to Giotto’s seminal frescoes in the Scrovegni Chapel in Padua, a particularly special experience for me as an art historian, and a beautiful day spent traveling to Castelfranco, Villa Maser and Bassano del Grappa, tracking down Giorgione and enjoying a delightful afternoon in the foothills of the Alps. These experiences were not only valid for me as an art historian, but also allowed me to nurture my blossoming interest in creating art. The printmaking class at the Scuola Grafica in the Cannareggio sestiere (neighborhood) of Venice quickly became a chance for me to express through art the overwhelming delight I felt at being in such a special place. 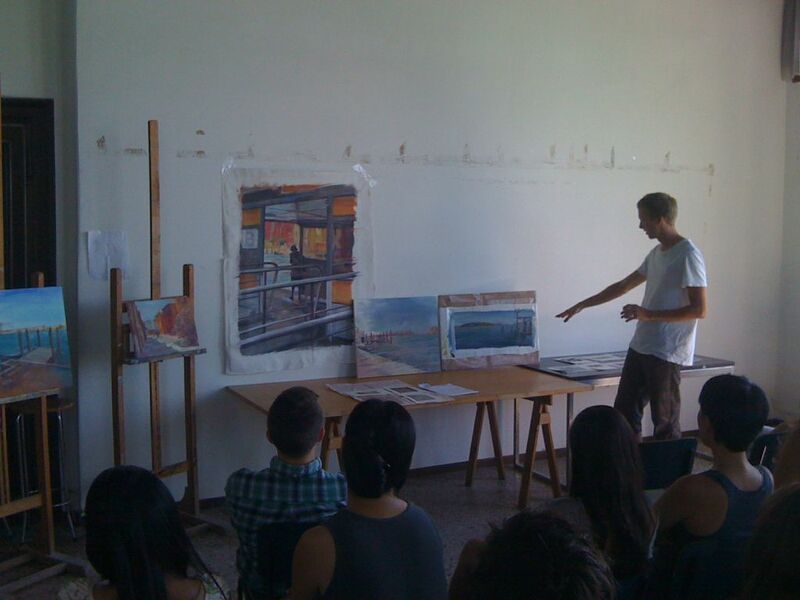 And while I was simply a novice, it was inspiring to see my fellow students’ art during their time in Italy. 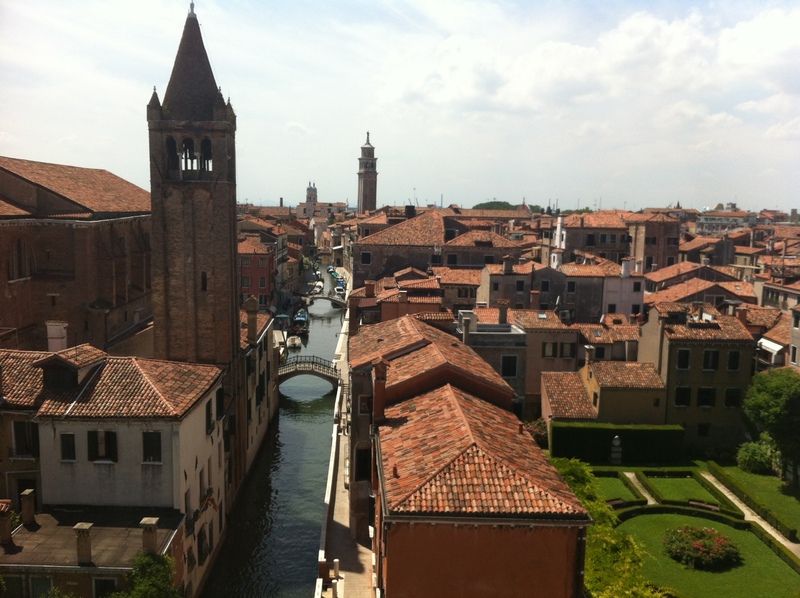 What better place to be inspired by art and color than Venice? I would recommend this program to any student interested in expanding his or her knowledge of art, or those looking for inspiration outside of their usual surroundings. I believe every student can benefit from this program, some in more obvious ways than others, but all growing and changing as part of the experience. 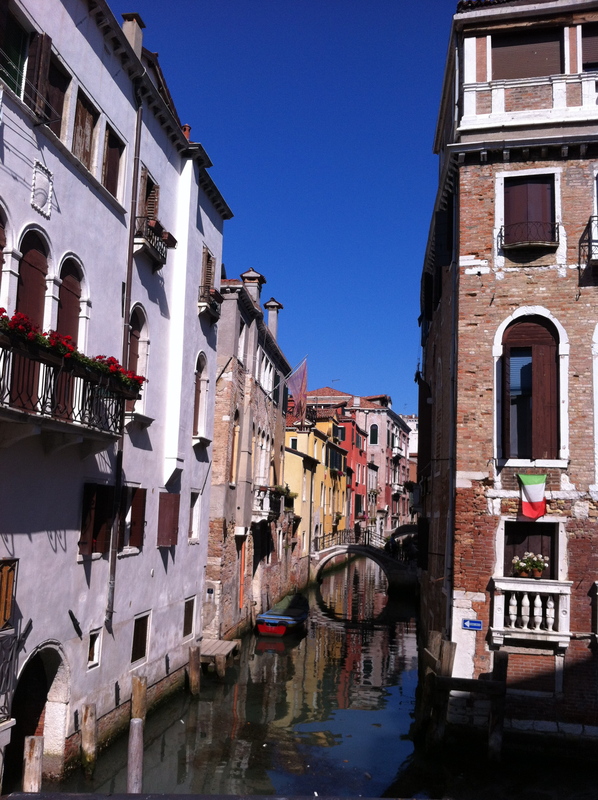 The effects of Venice are long term- maybe one day you’ll notice your designs have started incorporating those particular Venetian pointed windows, or on a hot day in New York, you’ll find yourself longing for Venice’s shady narrow streets. No matter how it affects you, it certainly will, and I can promise the program will be one you never forget.